Aged care in Armadale means everything is close by. Saint Paul’s Anglican Church, Malvern station and numerous restaurants are all just a short walk away. 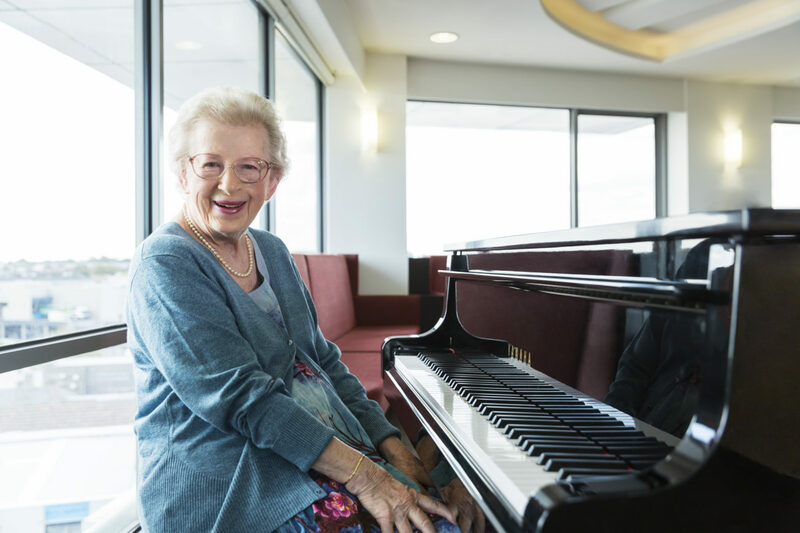 Regis’ Armadale nursing home features a rooftop café, and a piano lounge with breathtaking views of the city. Our mission is to promote and enhance the quality of life of residents at our aged care Armadale location, and we want an environment that gives everyone a sense of belonging, respect and dignity. Regis has been known to provide the utmost quality of support; providing services such as ageing-in-place, dementia care and respite care. Standard across our other locations, our Armadale aged care facility features our award winning Mosaic system which discreetly monitors your care needs with personal interests. Book a tour with us today and see what contemporary aged care is to us. We provide freshly prepared meals daily by our on-site chef, cinema, café, private dining room, Wi-Fi, Foxtel, library, hairdressing salon, and a day spa, all within our Armadale aged care facility.